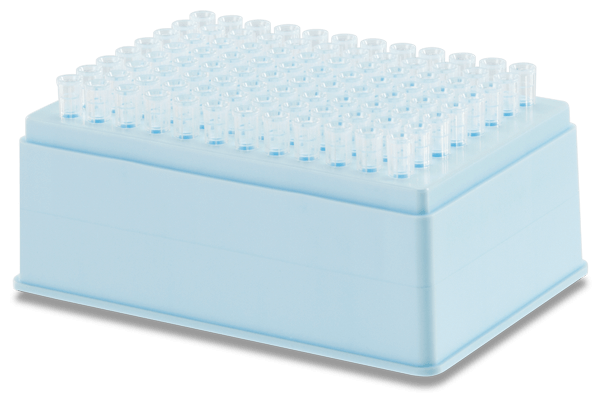 These P20 sterile pipette tips with filters are designed for the Biomek 3000, NX, NXp, FX and FXp Laboratory Automation Workstations. Filtered tips reduce the chance of sample cross-contamination from aerosols. Like all our tips, the P20s are made of 100% polypropylene, are manufactured to ensure they are straight and leak-proof, and are guaranteed to be free of DNA, DNase/RNase, PCR inhibition, pyrogen/endotoxin and trace metals. Case of 10 racks.